Fresh off of its dominating performances against No. 11 Arizona and Arizona State, the No. 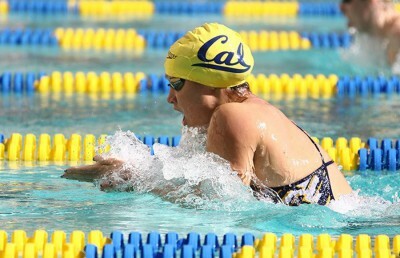 7 Cal women’s swim and dive team looks to take its show to Los Angeles against two talented Pac-12 Rivals, No. 5 USC and No. 18 UCLA, this Friday and Saturday. The Bears have hit their stride early this year and cruised to victories in their final two home dual meets of the season last weekend. The team’s depth was on full display against the Wildcats, as a pair of freshmen, Amy Bilquist and Kathleen Baker, crushed their competition en route to first place finishes in the 100- and 200-yard freestyle and backstroke events, respectively. Senior Kelly Naze, sophomore Noemie Thomas and junior Celina Li finished 1-2-3 in the 200-yard butterfly with Naze clocking in at a personal-best time of 1:57.89 in the event. The team honored their seniors before the final home meet of their collegiate careers against Arizona State with a lopsided victory over a severely overmatched Sun Devils team. Bilquist won the 100- and 200-yard backstroke events and Naze won the 1,000-yard freestyle at a 9:59.09 mark. The 181-98 victory gave the Bears a 5-0 record (4-0 Pac-12) in dual meets, and the team will look to continue its perfect start against talented division rivals this weekend. Cal will find itself facing a much more daunting task with its match-up against a talented and well-rested USC squad. The Trojans’ last dual meet was Jan. 12, when the team ran away with a 174.5-124.5 victory against Wisconsin. The Trojans are led by sophomore Hannah Weiss who has dominated backstroke events thus far this season, and will give Baker and Bilquist a stiff challenge. Weiss put up a 53.86 time in the 100-yard backstroke and finished at 1:56.14 in the 200-yard event against Wisconsin. Also leading the Trojans’ charge is freshman Riley Scott who won the 100- and 200-yard breaststroke events against the Badgers with 1:02.14 and 2:12.80 times and junior Anika Apostolan who took first in the 100-yard freestyle at 49.61. Cal will then take on another deep squad in the form of the Bruins, who last put up a 182-95 finish against Utah and 133-128 win over Boise State on Jan. 16. UCLA will tackle Cal after a match-up with No. 2 Stanford on Friday and, like USC, have the talent to lead an upset over the Bears on Saturday. 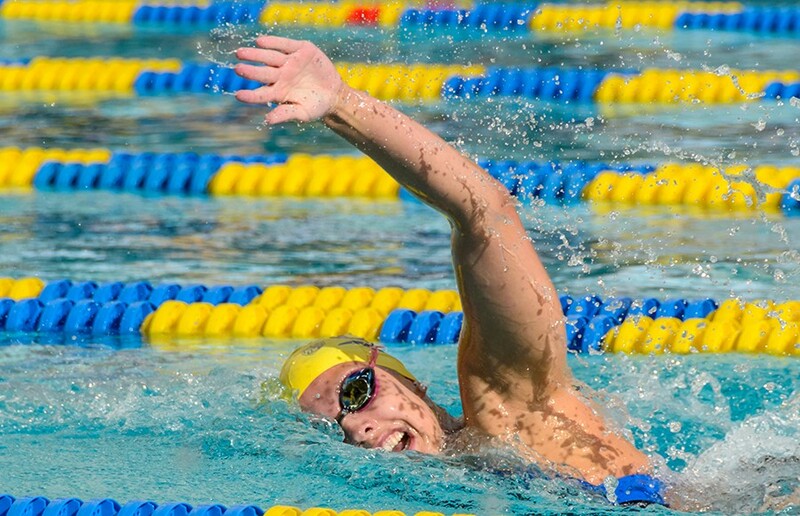 Like Cal, the Bruins feature skilled swimmers, including senior Katie Kinnear who took first place in the 200-yard fly against the Utes and Broncos, as well as junior Madison White, who took second in the event. In the 1,000-yard freestyle, the Bruins dominated as junior Michaela Merlihan took first and freshman Sandra Soe tied for second in the event with times of 10:24.53 and 10:26.93, respectively. 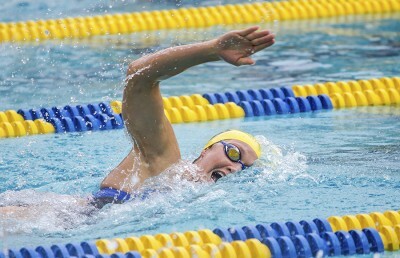 Freshman Caroline McTaggart also won the 100-yard freestyle for the Bruins with a 51.77 mark. The Bears will certainly have their hands full this weekend as they match up against two conference rivals from Southern California and the two meets will serve as a litmus test for how close the team is to last season’s title-contention shape. Trouncing the two teams that visited from Arizona last weekend was a promising start for the Bears, but it was merely the beginning of a long road journey that the team hopes awaits them. Shiktij Dave covers women’s swimming. Contact him at [email protected].